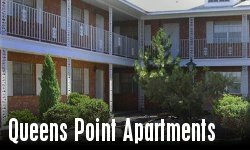 TRUSTED APARTMENT MANAGEMENT is a family run business which owns and manages multi-family apartments in the city of Albuquerque, NM. We are long time members of the New Mexico Apartment Association (NMAA) dedicated to complying with the Fair Housing Act. Trusted Apartment Management was formed by a engineer and an accountant/ CPA with 30 plus years of real estate experience to combine the best possible knowledge and methods for maximizing the real estate investment for the purposes of cash flow. Our services include acquisition assistance, property management, maintenance supervision, accounting, financial analysis, and asset management. Trusted Apartment Management currently manages: (Click on the desired complex below to view pricing, availability, pictures and more). Copyright © Trusted Apartment Management. All Rights Reserved.